Park Manor-River’s Edge is a skilled nursing and rehabilitation facility providing personalized service to those entrusted to our care. We have both private and semi-private rooms that are bright and spacious. You will find a casual, inviting setting designed to make life comfortable and secure while working to meet each individual’s goals. Park Manor-River’s Edge takes pride in the quality of care we deliver. 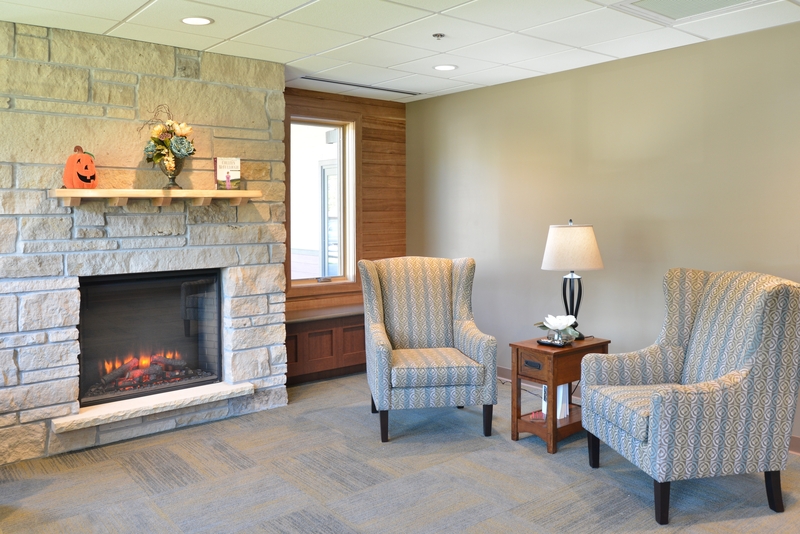 All departments including our new state of the art therapy department provide individualized care for your stay. Park Manor-River’s Edge provides the necessities for your stay as well as highly effective personalized care. Our staff includes 24-hour skilled nursing care. Our expert Dietary Staff prepare well-balanced meals and snacks that are nutritious and appealing. Our expanded menus offer a wide variety of home cooked meals. We are pleased to provide a flexible meal times, allowing you to choose meal times, as you would in your own home.